Agile methods and DevOps initiatives highlight the need for cross-functional teams to work together to build software applications. The ability for an organization to flexibly and quickly respond to user needs and resolve bugs in the application is no longer "nice to have", but has become an expectation of our digital world. This webcast will look at some of the hurdles faced by technology teams driven by business and customer expectations to iterate and improve products in a timely manner, while still working alongside teams using more traditional methods. 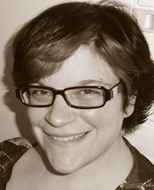 Mandi Walls is a New York City-based Senior Technical Evangelist with Opscode, Inc. For Opscode, she travels the world helping organizations become more effective at configuration management. Her prior experiences include running large websites for AOL including aol.com, moviefone.com, and games.com, and managing scientific computing resources at NIH. You can follow Mandi on Twitter @lnxchk.